1960 Quits working for Artkraft Strauss Sign Corporation. Rents a loft at 3-5 Coenties Slip, New York; neighbors include the painters Jack Youngerman, Ellsworth Kelly, Agnes Martin, Robert Indiana, Lenore Tawney, Robert Rauschenberg, Jasper Johns, Barnett Newman, and the poet Oscar Williamson. 1963 Paints mural commissioned by Philip Johnson for the 1964 New York World's Fair, New York State Pavilion. Exhibits in New York in Americans 1963 at the Museum of Modern Art and in Six Painters and the Object at the Solomon R. Guggenheim Museum. Moves his studio to 429 Broome Street, New York. 1965 Exhibits F-111(1964-65), a site-specific wrap-around painting, in his first solo show at the Leo Castelli Gallery, New York (April-May) and then at the Jewish Museum, New York (June-September). Robert C. Scull purchasesF-111, and it tours eight major European museums through 1967. 1967 Moves to East Hampton in Long Island, NY. Exhibits a room of polyester film paintings including Forest Ranger (1967) at the Palazzo Grassi, Venice, Italy. F-111is exhibited at the 9th São Paulo Bienal, Brazil. 1968 Has first retrospective exhibition, at the National Gallery of Canada, Ottawa. F-111is exhibited at the Metropolitan Museum of Art, New York. Forest Rangergroup of paintings is exhibited at the Galerie Ileana Sonnabend, Paris. 1971 Works on the Cold Light Suite of prints at the University of South Florida's Graphicstudio in Tampa, Florida. 1974 Lobbies in Washington, D. C., with Marion Javits and Robert Rauschenberg for legislation protecting artists' rights. 1980 Paints Star Thief(1980), the first of five 17' x 46' paintings. 1981 Exhibits Star Thief at the Leo Castelli Gallery, 142 Greene St., New York (January-February). Dade County Art in Public Places Committee selects Star Thieffor a concourse at the Miami International Airport, Florida, but controversy with Eastern Airlines over the painting prevents its acquisition. 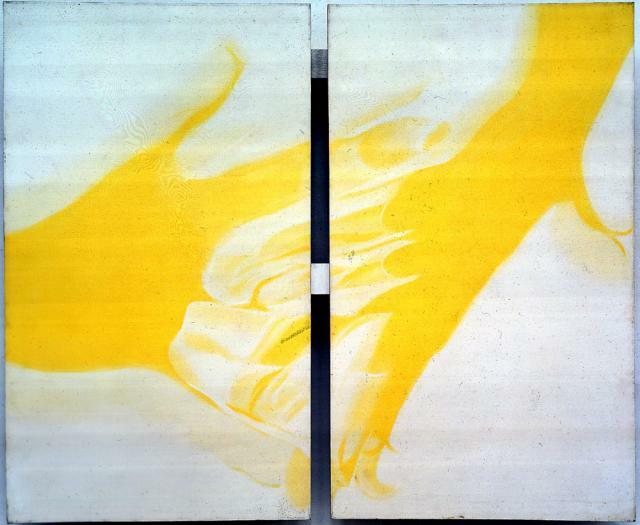 1982 Exhibits the painting Four New Clear Women (1982), 17' x 46', at the Leo Castelli Gallery, 142 Greene St., New York. Receives commission to paint a 7' x 24' mural, Flowers, Fish and Females for the Four Seasons(1984), for the Four Seasons Restaurant, New York. 1983 Completes a new studio in Aripeka, Florida. Exhibits Star Thief at the Center for the Fine Arts, Miami, Florida. 1985 Retrospective exhibition, organized by and originating at the Denver Art Museum, Colorado, travels until 1987 to the Contemporary Arts Museum, Houston, Texas; Des Moines Art Center, Iowa; The Albright-Knox Art Gallery, Buffalo, New York; Whitney Museum of American Art, New York; National Museum of American Art, Smithsonian Institution, Washington, D.C. Exhibits the 17' x 46' painting The Persistence of Electrical Nymphs in Space (1985) at the Leo Castelli Gallery, 142 Greene St., New York. 1986F-111, the largest artwork auctioned to date, is sold at Sotheby's from the estate of Robert C. Scull for $2.09 million. 1987 Is nominated and inducted into the American Academy and Institute of Arts and Letters, New York. 1988 Receives the Golden Plate Award from the American Academy of Achievement, Nashville, Tennessee. Exhibits the painting Through the Eye of the Needle to the Anvil(1988), 17' x 46', at the Leo Castelli Gallery, 142 Greene St., New York. 1991 Has retrospective exhibitions at the Central Hall of Artists, Tretyakov Gallery, Moscow, U.S.S.R. and at the IVAM Centre Julio Gonzalez, Valencia, Spain. 1992 Exhibits a selection of paintings executed in the early 1960s in The Early Pictures 1961-1964at the Gagosian Gallery, New York. Has solo exhibitions at the Galeria Weber, Alexander y Cobo, Madrid, Spain and the Galerie Thaddaeus Ropac, Paris, France. 1993 A retrospective of graphics, Time Dust, Complete Graphics: 1962-1992, travels to twelve venues in the United States. Has exhibitions of recent paintings at the Leo Castelli Gallery, New York, and the Galerie Thaddaeus Ropac, Salzburg, Austria. Exhibits a selection of the Gift Wrapped Doll series of paintings at Feigen Incorporated, Chicago, Illinois. 1994 An exhibition commemorating his 30-year association with the art dealer Leo Castelli is held at the Leo Castelli Gallery, New York, accompanied by the publication of the book The Big Paintings, Thirty Years. Has a solo exhibition at Wetterling Teo Gallery, Singapore. 1995 Has solo exhibitions at the PYO Gallery, Seoul, South Korea and the Civico Museo Revoltella, Trieste, Italy.Star Thiefis acquired by the Museum Ludwig, Cologne, Germany. Flowers, Fish and Females for the Four Seasonsis acquired by the Metropolitan Museum of Art, New York. Begins a series of hand-colored paper constructions. 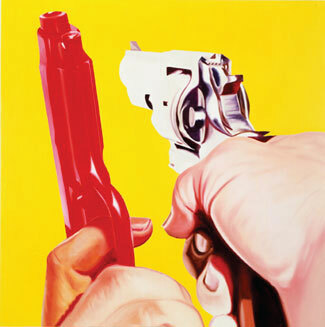 1996 Exhibits new gun paintings in solo exhibitions at the Galerie Thaddaeus Ropac, Paris, and Salzburg, Austria, and at Feigen Incorporated, Chicago. New Paper Constructions is shown at Gemini G.E.L., Los Angeles, California. F-111is acquired by the Museum of Modern Art, New York. 1997 Singapore series of three large paintings is shown at the Galerie Thaddaeus Ropac, Paris, and new works are exhibited at the Wetterling Teo Gallery, Singapore. 1998 The Swimmer in the Econo-mistpaintings are exhibited at the Deutsche Guggenheim Berlin, Germany. After Berlin: New Paintings exhibition is held at Feigen Contemporary, New York. Begins the Speed of Lightseries of paintings. 1999 Has solo exhibition entitled Meteors: New Paintings at the Baldwin Gallery, Aspen, Colorado. The Swimmer in the Econo-mist is shown at the June inaugural exhibition of the Massachusetts Museum of Contemporary Art, North Adams, Massachusetts. 2000 Has an exhibition at the Salvador Dalí Museum, St. Petersburg, Florida, entitled James Rosenquist: Paintings/James Rosenquist: Selects Dalí. 2001 Has solo exhibition including the 17' x 46' painting The Stowaway Peers Out at the Speed of Light (2000) and other Speed of Lightpaintings at the Gagosian Gallery, New York. Included in Les Années Pop: 1956-1968 at the Musée National d’Art Moderne, Centre Georges Pompidou, Paris. 2002 Designs and donates a large, wall-mounted sculpture to All Children’s Hospital in St. Petersburg, Florida. Receives an award from the Fundaćion Cristóbal Gabarrón in Valladolid, Spain in recognition of his contributions to universal culture. 2003 Exhibits James Rosenquist: Recent Paintings at McClain Gallery, Houston, James Rosenquist: Selected Work on Paper at Leo Castelli, New York, James Rosenquist: Collages at Jacobson Howard Gallery, New York, James Rosenquist Prints: A Mini-Retrospective at Jim Kempner Fine Art, New York, and Rosenquist in Florida: Major Prints at Barbara Gillman Gallery, Miami. The Solomon R. Guggenheim Museum organizes a major respective of paintings, drawings, graphics, and collages, James Rosenquist: A Retrospective, that travels to The Menil Collection and Museum of Fine Arts, Houston and the Solomon R. Guggenheim Museum, New York. 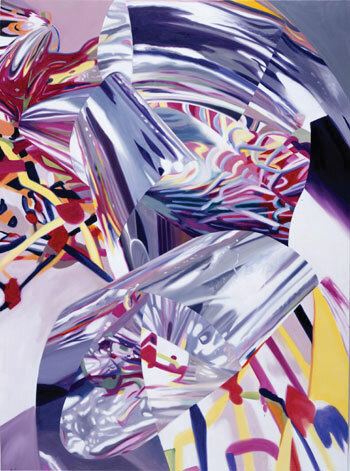 2004 James Rosenquist: A Retrospectivetravels to the Guggenheim Museum Bilbao, Spain. Exhibits James Rosenquist: Prints from the ‘80s and ‘90s at Godt-Cleary Projects, Las Vegas, and James Rosenquist: Welcome to the Water Planet at Galerie ArtPoint der Ferratec AG, Rudolfstetten, Switzerland. 2005 Has a loan exhibition James Rosenquist: Monochromes at Acquavella Galleries surveying his monochrome and grisaille work throughout his career. 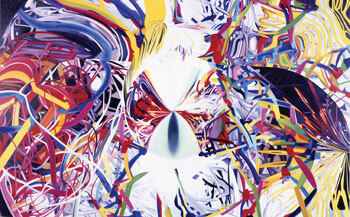 Exhibits James Rosenquist: Ten Paintings, 1965-2004; Collage, 1987 at Givon Art Gallery, Tel Aviv. 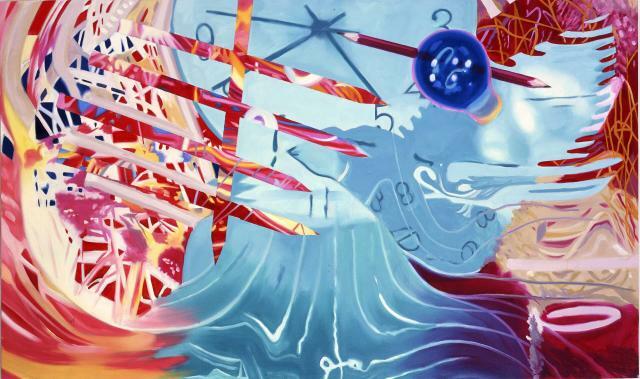 James Rosenquist: A Retrospective travels to the Kunstmuseum Wolfsburg in Wolfsburg, Germany. 2006 Exhibits Celebrating the Fiftieth Anniversary of the Signing of the Universal Declaration of Human Rights by Eleanor Rooseveltat Art Unlimited/Art Basel in Basel Switzerland. Also exhibits at the Miami Art Museum, Miami. 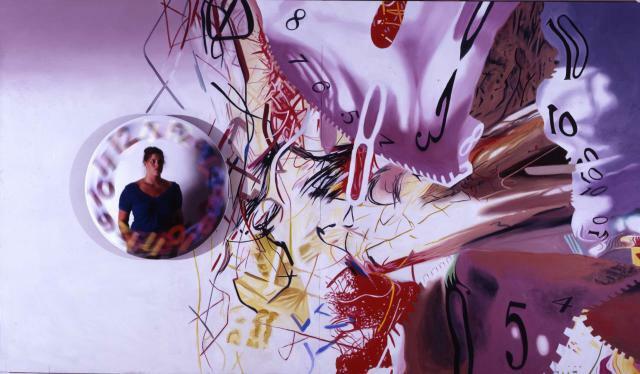 2006-7 Has a major survey exhibition, James Rosenquist at the Haunch of Venison gallery in London. 2007 Exhibits James Rosenquist: The Speed of Light and Beyond at the Silvermine Guild Arts Center in New Canaan, Connecticut. 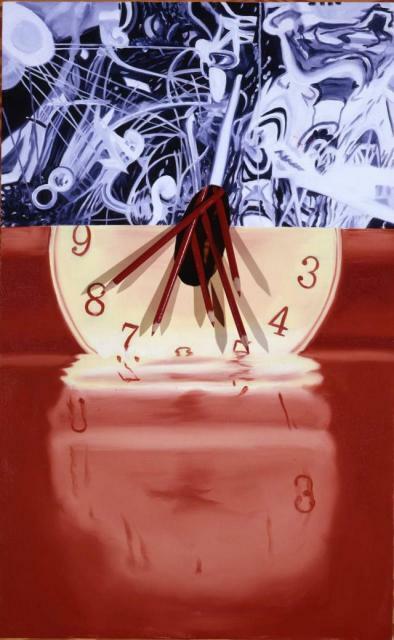 Exhibits new work at Acquavella Galleries,James Rosenquist: Time Blades. Joins the board of The American Friends of the Tel Aviv Museum of Art. Ashbery, John. The New Realists. New York: Sidney Janis Gallery, 1962. G.R.S. (G.R. Swenson). "Reviews and Previews: New Names this Month." Art News 60 (February 1962): 20. "Jarring Blend of Billboard Pieces." Life 52, no. 24 (15 June 1962). Alloway, Lawrence. Six Painters and the Object. New York: The Solomon R. Guggenheim Museum, 1963. Miller, Dorothy C., ed. Americans 1963. New York: The Museum of Modern Art, 1963. Glusker, Irwin. "What Next in Art?" Horizon 5, no. 3 (January 1963): 16-25. 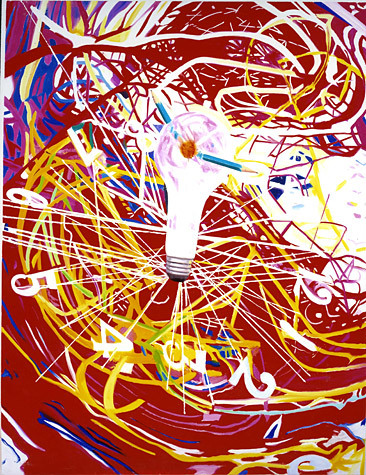 "Painter, James Rosenquist." Art in America 51, no. 3 (June 1963). Rose, Barbara. "Pop Art at the Guggenheim." Art International 7, no. 5 (May 1963): 20-22. "Young Talent USA." Art in America 51, no. 3 (June 1963): 46-49. Painting and Sculpture of a Decade: 54/64. London: The Calouste Gulbenkian Foundation in association with The Tate Gallery, 1964. Pierre, José, Edward F. Fry, and Édouard Jaguer. 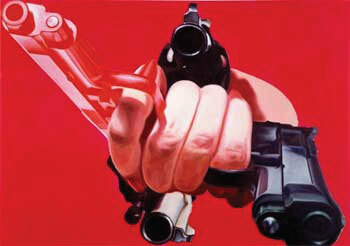 Rosenquist. Paris: Galerie Ileana Sonnabend, 1964. "Art: At Home with Henry." Time 83, no. 8 (21 February 1964): 68-71. Ragon, Michel. "Les États-Unis Sont a la Recherche D'un Art National." La Galerie des Arts, no. 17 (June 1964): 13-14. Solomon, Alan R., et al. Amerikansk Pop-Konst. Stockholm: Moderna Museet, 1964. Atkinson, Tracy. Pop Art and the American Tradition. Milwaukee: Milwaukee Art Center, 1965. Carey, Martin. The New American Realism. Worcester: Worcester Art Museum, 1965. Duhe, Camille. "The Chandelier is a Floor Plan." New York Herald Tribune, 31 January 1965. "Art Tour: The Galleries-A Critical Guide." New York Herald Tribune, 24 April 1965. Shepard, Richard F. "Painting Needs Hall, Not Wall." The New York Times, 13 May 1965. "Art: Pop, Bing-Bang Landscapes." Time 85, no. 22 (28 May 1965): 80. Lippard, Lucy. "New York Letter." Art International 9, no. 5 (June 1965): 51-55. "Rosenquist's 'F-111' at Jewish Museum." The New York Times, 12 June 1965. "You Bought It Now Live with It." Life 59, no. 3 (16 July 1965): 56-61. Absalon. "30 meter lângt etiskt problem." Dagens Nyheter, 29 September 1965. "USA-bombplan pâ 25 m lângt konstverk." Svenska Dagbladet, 29 September 1965. Billeter, Erika. "Pop im Examen." Speculum Artis, no. 9 (September 1965): 25-27. Swenson, Gene R. "The F-111." Partisan Review 32 (Fall 1965): 589-601. Tillum, Sidney. "Further Observations on the Pop Phenomenon: 'All Revolutions Have Their Ugly Aspects....'" Artforum 4, no. 3 (November 1965): 17-19. Lippard, Lucy R. "Aspects of a Multiple Art." Artforum 4, no. 4 (December 1965): 41-45. Crispolti, Enrico. La Pop Art. Milan: Fratelli Fabbri Editori, 1966. Kramer, Jane. "Profiles: Man Who is Happening Now." The New Yorker 42, no. 40 (26 November 1966): 64-65?, 120. Kramer, Hilton. "Art: United States; Exhibition Dominates São Paulo's 9th Bienal." The New York Times, 20 September 1967, 42L. Seitz, William C., and Lloyd Goodrich. São Paulo 9, Environment U.S.A.: 1957-1967. Washington, D.C.: Published for the National Collection of Fine Arts by the Smithsonian Institution Press, 1967. Smith, Brydon. 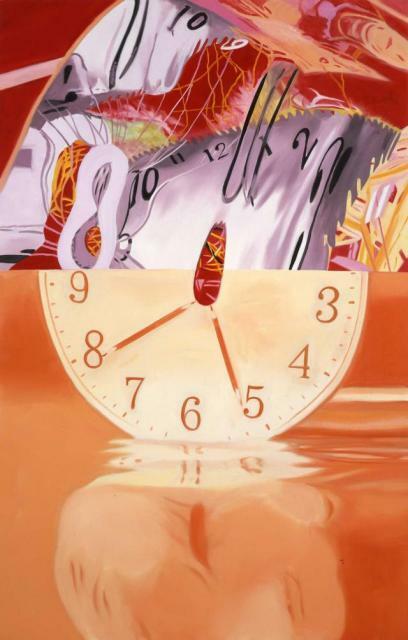 James Rosenquist. Ottawa: The National Gallery of Canada, 1968. Robillard, Yves. 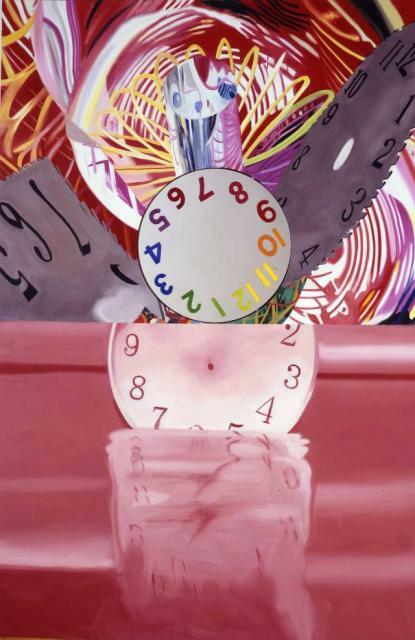 "Rosenquist: je peins des choses anonymes." La Presse (Montreal), 27 January 1969, 36. Glueck, Grace. "Not One Boring Picture." The New York Times, 28 January 1968, 33D. Ayre, Robert. "Pictures from Life." The Montreal Star, 3 February 1968, 9. Sheppard, Eugenia. "Guests Party Minus Painting." The Dallas Morning News, 15 February 1968, 5C. Kramer, Hilton. "Art: A New Hangar for Rosenquist's Jet-Pop F-111." The New York Times, 17 February 1968. Canaday, John. "F-111." The New York Times, 25 February 1968. Canaday, John. "The Day the House Caught Fire." The New York Times, 17 March 1968. Gold, Barbara. "Art Notes: From Billboards to Museums." The Baltimore Sun, 17 March 1968. Giuliano, Charles. 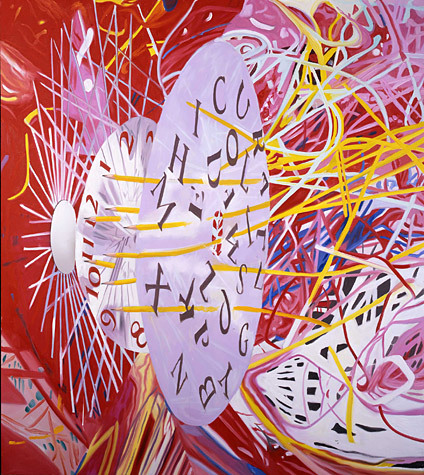 "Jim Rosenquist." Avatar, no. 1 (29 March 1968). Geldzahler, Henry. "James Rosenquist's F-111." The Metropolitan Museum of Art Bulletin 26, no. 7 (March 1968): 277-81. Scull, Robert C. "Re the F-111: A Collector's Notes." The Metropolitan Museum of Art Bulletin 26, no. 7 (March 1968): 282-83. Kozloff, Max. "Art." The Nation 206 (29 April 1968): 578-80. Vigeant, André. 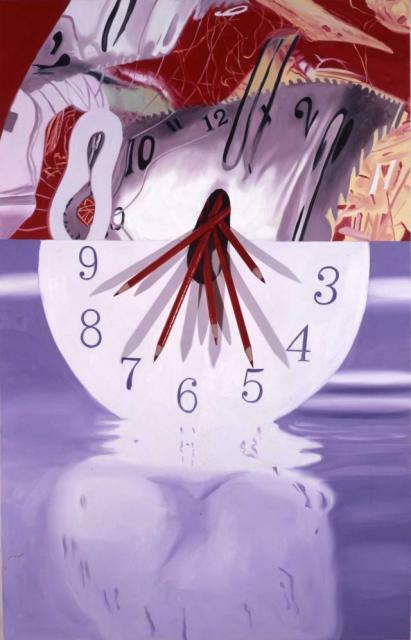 "James Rosenquist: temps-espace-mouvement." Vie des Arts, no. 51 (Summer 1968): 58-61. Canaday, John. "'F-111' and the Day the House Caught Fire." In Culture Gulch, Notes on Art and Its Public in the 1960's. New York: Farrar, Straus and Giroux, 1969. Mallé, Luigi. New-Dada e Pop Art Newyorkesi. Torino: Galleria Civica d'Arte Moderna, 1969. Russell, John, and Suzi Gablik. Pop Art Redefined. New York: Praeger Publishers, 1969. Canaday, John. "James Rosenquist." The New York Times, 5 April 1969. Alloway, Lawrence. "Art." The Nation, 5 May 1969, 581-82. Schjeldahl, Peter. "A 'Trip' with Rosenquist." The New York Times, 31 May 1970. Perrault, John. "Art: Here & There." The Village Voice, 4 June 1970: 17-19. "Media and Muse." MD 15, no. 7 (July 1971): 124-30. Siegel, Jeanne. 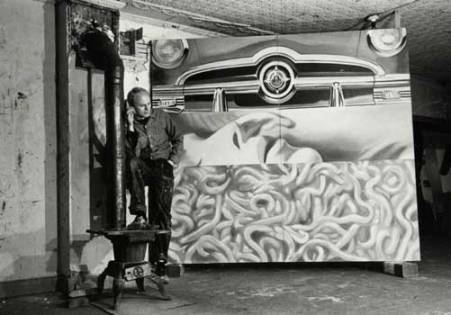 "An Interview with James Rosenquist." Artforum 10, no. 10 (June 1972): 30-34. Tucker, Marcia. James Rosenquist. New York: Whitney Museum of American Art, 1972. Weiss, Evelyn. 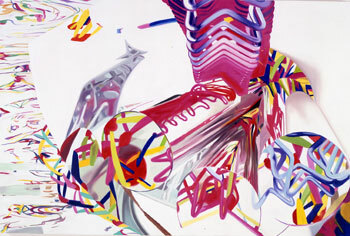 James Rosenquist: Gemälde-Räume-Graphik. Cologne: Wallraf-Richartz-Museums, 1972. Alloway, Lawrence. "Derealized Epic." Artforum 10, no. 10 (June 1972): 35-41. Schjeldahl, Peter. "The Rosenquist Synthesis." Art in America 60, no. 2 (March-April, 1972): 56-61. Canaday, John. "The Big Hic Jacet Retrospective." The New York Times, 23 April 1972. Davis, Douglas. "Art: The Biggest Pop." Newsweek 79, no. 17 (24 April 1972): 80-81. "Art Mailbag: James Rosenquist Replies." The New York Times, 14 May 1972: 24D. Battcock, Gregory. "James Rosenquist." Arts Magazine 46, no. 7 (May 1972): 49-52. Kelly, David. 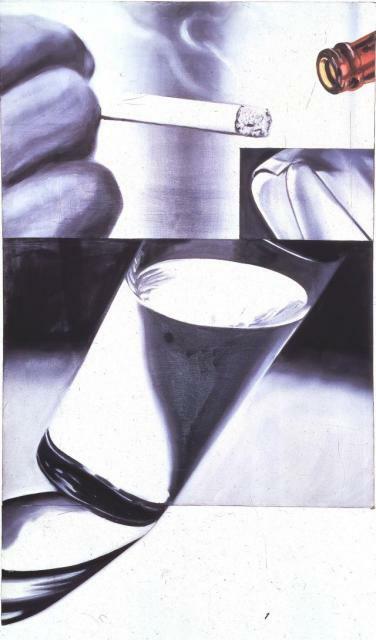 "The Arts: Unusual Images Jar Viewers at James Rosenquist Show." The Sunday Oregonian, 28 October 1973: 16. Burnham, Sophy. The Art Crowd. New York: David McKay Company, Inc., 1973. Alloway, Lawrence. American Pop Art. New York: Macmillan Publishing Co., Inc., 1974. Battcock, Gregory. "James Rosenquist." In Why Art. New York: E.P. Dutton & Co., Inc., 1977. Daniels, Florence Margaret. Why Art? A Guide to Viewing and Understanding Contemporary Art. Chicago: Nelson Hall, 1978. Augur, Julie, et al. Castelli and His Artists/Twenty-Five Years. Aspen: Aspen Center for the Visual Arts, 1982. Lieberman, William S. 20th Century Masters: The Thyssen-Bornemisza Collection. Washington, D. C.: International Exhibitions Foundation, 1982. Snograss, Susan de Alba. 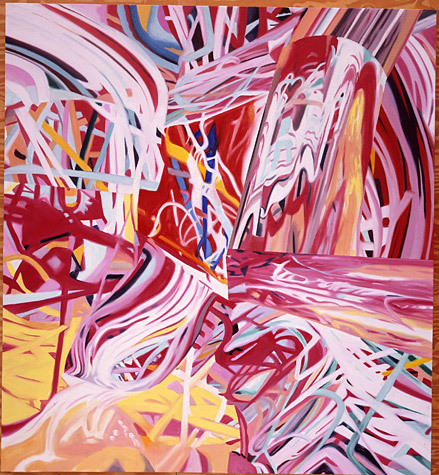 "Rosenquist: An Interview with the Man Who Painted Flying Bacon." The Miami News, 14 June 1982: 1-2B. Goldman, Judith. James Rosenquist. New York: Viking Penguin Inc., 1985. Gabriel, Trip. 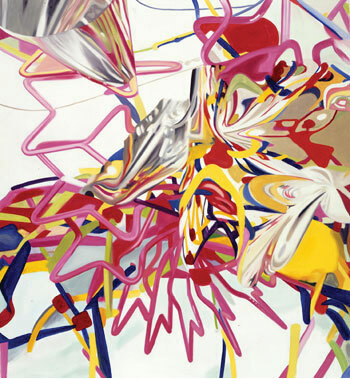 "Rosenquist Up Close." United, February 1985: 48-61. Price, Max. 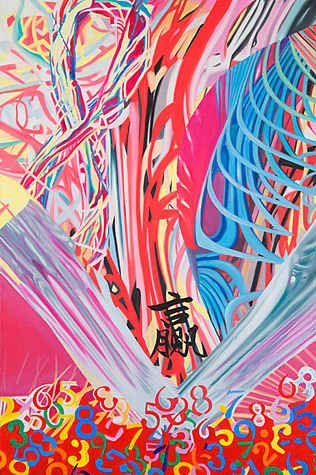 "Rosenquist Pop Works Will Be Very Big in May." The Denver Post, 21 April 1985: 19. Bourdin, David. "Pop That Won't Go Flat." Vogue 175, no. 5 (May 1985): 78. Clurman, Irene. "Retrospective." Rocky Mountain News (Denver), 12 May 1985: 2-3E. Glenn, Reed. "Deep-Fried Freud." Boulder Daily Camera, 26 May 1985. Price, Max. "'Visual Radio'." Daytona Beach Sunday News-Journal, 7 July 1985: 11F. Johnson, Patricia. "Rosenquist's Billboard-Size Works Are Beautifully Rewarding." Houston Chronicle, 31 August 1985. "Giant Artist, Giant Art in the City Used to Big." Art-Talk (Scottsdale, Arizona), August/September 1985: 30. Heartney, Eleanor. "The Art of Anythingness." Minnesota 85, no. 4 (March/April 1986): 6-11. Heartney, Eleanor. "Rosenquist Revisited." Artnews 85, no. 6 (Summer 1986): 98-103. Russell, John. 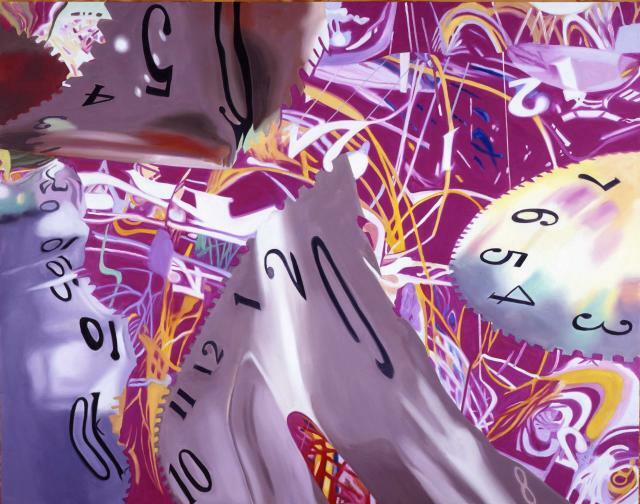 "Art: James Rosenquist in Retrospective." The New York Times, 27 June 1986. McGill, Douglas C. "Pop Artist Rearranges Modern Life." Sarasota Herald Times, 29 June 1986: 1G, 4G. Sozanski, Edward J. "A Superstar Pop Artist 25 Years Later." Philadelphia Inquirer, 13 July 1986. Spitainick, Lou. "Billboards Give Rosenquist His Cue." New Haven Register, 10 August 1986. Hughes, Robert. 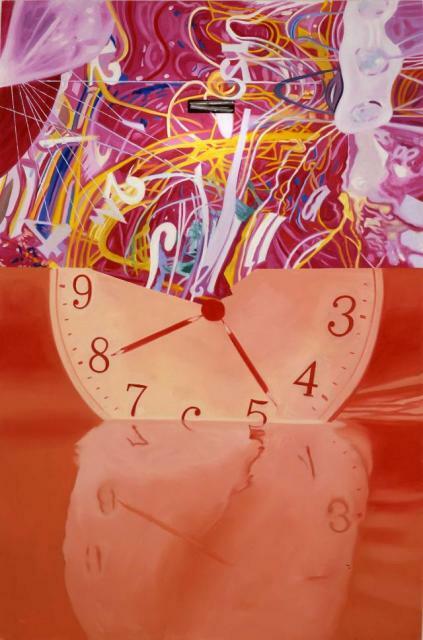 "Memories Scaled and Scrambled: In New York City, a Survey of James Rosenquist." Time 128, no. 6 (11 August 1986): 69. Graff, Roberta. "Lots of Noise at the Whitney." South Shore Record (Hewlett, New York), 21 August 1986. Tourigny, Maurice. "Rosenquist: Le peintre a ses raisons..." Le Devoir, 6 September 1986: C7. Reif, Rita. "Scull's Art to Be Sold at Auction." The New York Times, 9 September 1986. Richard, Paul. "James Rosenquist's Dreamy Landmarks in Time." Washington Post (D.C.), 23 October 1986: C1-C2. Allen, Jane Addams. "'Pop' Prince Rosenquist Looks Ahead." The Washington Times, 24 October 1986: 1B, 9B. Schwabsky, Barry. "James Rosenquist at the Whitney Museum." Artscribe International, no. 60 (November-December 1986): 77-78. Contemporary Art from the Estate of the Late Robert C. Scull. New York: Sotheby's, 1986. Reif, Rita. 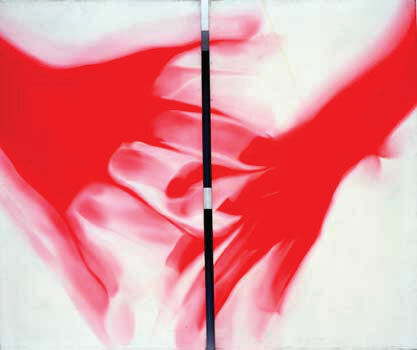 "Rosenquist Painting Sells for Record Price." The New York Times, 12 November 1986: 28C. Reif, Rita. "James Rosenquist Painting Auctioned for Record Price." The New York Times, 13 November 1986: 21Y. Tully, Judd. "Rosenquist Work Brings $2.1 Million." The Washington Post, 13 November 1986: 13B. Narrett, Eugene. 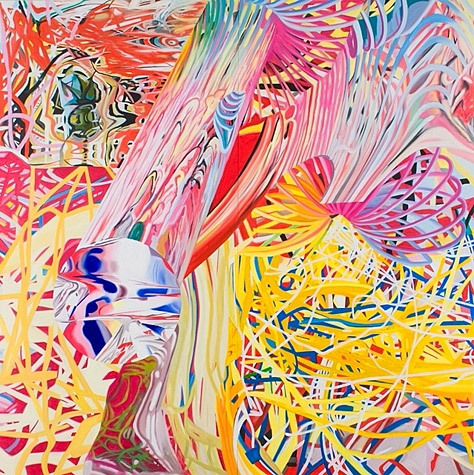 "Rosenquist in Retrospective: Wrestling with the American Goddess." New Art Examiner 14, no. 4 (December 1986): 23-25. Sandberg, Betsy. "James Rosenquist." Daily Freeman (Kingston, New York), 8 December 1986: 7. Cotter, Holland. "Advertisements for a Mean Utopia." Art in America 75, no. 1 (January 1987): 82-89. "The 'Dark Horse' of Pop." Canvas 4, no. 5 (January 1987). Walker, Richard W. "F-111 Flies High." Artnews 86, no. 1 (January 1987): 15. Van Siclen, Bill. "'Michelangelo of Times Square' Visits RISD." Providence Journal, 31 January 1987. "Portrait of the Artist, 1987: Who Supports Him/Her?" Artsreview 4, no. 3 (Spring 1987): 35-36. Christy, Duncan. "The Big Time." M, July 1989: 57-61. Goldman, Judith. James Rosenquist: Welcome to the Water Planet and House of Fire, 1988-1989. Mount Kisco, New York: Tyler Graphics Ltd., 1989. Lippard, Lucy R. A Different War. Seattle: Real Comet Press and Whatcom Museum of History and Art, 1989. Adcock, Craig. James Rosenquist's Commissioned Works. Stockholm: Painters Posters, 1990. Blau, Douglas. The Times, The Chronicle and The Observer. New York: Kent Fine Art, Inc. 1990. Deitch, Jeffrey. The Jacobs Collection: Twentieth Century American Art. Cleveland: Jacobs Brothers Company, 1990. DiBlasi, Debra. "Seeing/Not Seeing." SOMA (San Francisco), no. 11 (1990): 30-33. Adcock, Craig. "James Rosenquist's F-111: A Guernica for Our Times." 20/1 Art & Culture 2, no. 1 (Fall 1990). Penxten, Stéphane. "Rosenquist: Pas si pop que ça." La Libra Belgique, 29 May 1991: 9. Graham-Dixon, Andrew. "Art in the Promised Land." The Independent (London), 7 September 1991: 28-37. Gladstone, Valerie. "James Rosenquist: Vikings and Vodka." Artnews 90, no. 8 (October 1991): 73-74. Wheeler, Daniel. Art Since Mid-Century: 1945 to the Present. New York: The Vendome Press, 1991. Schjeldahl, Peter. "Classic Pop." The Village Voice, 9 June 1992: 96. Sierra, Rafael. "Todo es Pop, Pop es todo." El Mundo, 20 June 1992: 2-3. Craven, Wayne. American Art: History and Culture. New York, Harry N. Abrams, Inc., Publishers, 1994. Hoving, Thomas. Making the Mummies Dance: Inside the Metropolitan Museum of Art. New York: Simon & Schuster, Touchstone, 1994. Brundage, Susan, ed. James Rosenquist: The Big Paintings, Thirty Years, Leo Castelli. New York: Leo Castelli Gallery in association with Rizzoli International Publications, Inc., 1994. Fineberg, Johathan. Art Since 1940: Strategies of Being. New York: Harry N. Abrams, Inc., 1995. James, Jamie. Pop Art. London: Phaidon Press Limited, 1996. Hughes, Robert. American Visions: The Epic History of Art in America. New York: Alfred A. Knopf, Inc., 1997. Leslie, Richard. Pop Art: A New Generation of Style. New York: Todtri Productions Limited, 1997. Mayo, Marti, et al. Finders/Keepers. Houston, Contemporary Arts Museum, 1997. Rosenblum, Robert, Judith Goldman, and Janice Yang. James Rosenquist: The Swimmer in the Econo-mist. New York: The Solomon R. Guggenheim Foundation, 1998. Umland, Anne et al. Pop Art: Selections from The Museum of Modern Art. New York: The Museum of Modern Art, 1998. Decker, Andrew. "Smart Money." Artnews 97, no. 9 (October 1998): 114-15. Goldman, Judith. 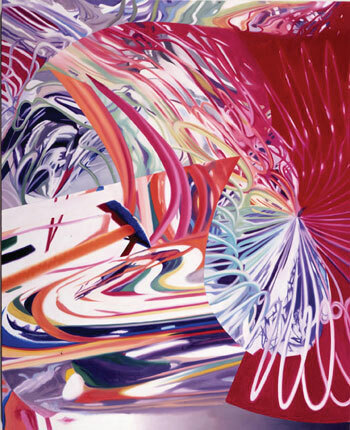 James Rosenquist: Paintings 1996-1999. Aspen, Colorado: Baldwin Gallery, 1999. Weitman, Wendy. Pop Impressions Europe/USA: Prints and Multiples from the Museum of Modern Art. New York: The Museum of Modern Art, 1999. Vogel, Carol. "Inside Art: A New Look at the Modern." The New York Times, 11 June 1999: B26. Russel, John, et al. "James Rosenquist." (multiple articles) Parkett 58 (May 2000): 26-73. Cotter, Holland. "A Postwar Survey, Semi-Wild at Heart." The New York Times, 29 September 2000: B27, B30. Curiger, Bice et al. Hypermental: Rampant Reality 1950-2000, from Salvador Dalí to Jeff Koons. Zürich: Kunsthaus Zürich; Hamburg: Hamburger Kunstalle, 2000. Jeffett, William. 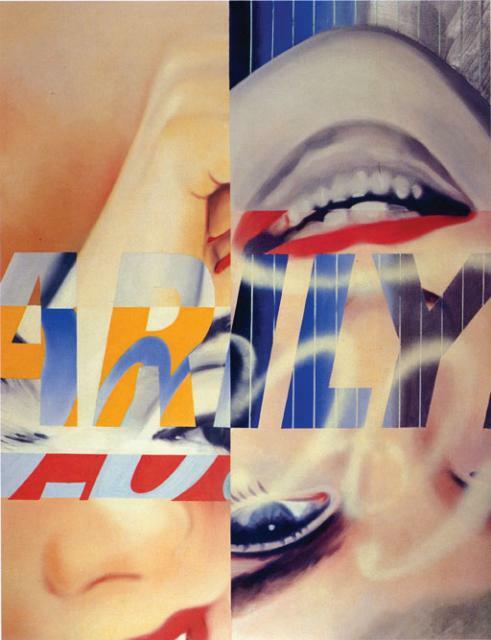 James Rosenquist: Paintings / James Rosenquist: Selects Dalí. St. Petersburg, Florida: Salvador Dalí Museum, 2000. Belloli, Jay. The Universe: A Convergence of Art, Music, and Science. Pasadena, California: Armory Center for the Arts, 2001. Jeffett, William. 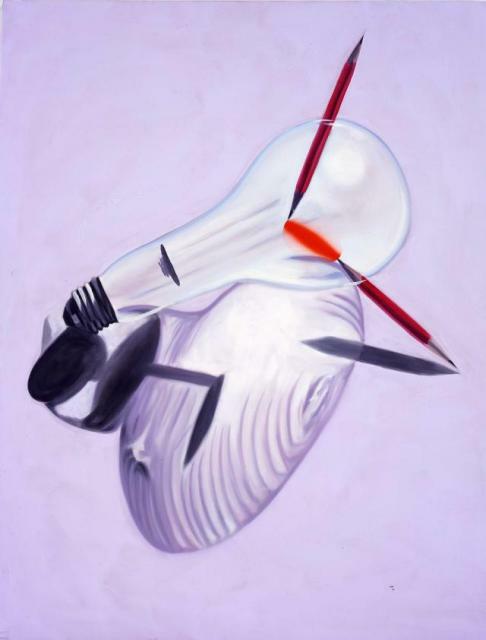 James Rosenquist: The Stowaway Peers Out at the Speed of Light. New York: Gagosian Gallery, 2001. James Rosenquist: Monochromes. New York: Acquavella Contemporary Art, Inc., 2005; essay by Craig Adcock. Walter Hopps and Sarah Bancroft. 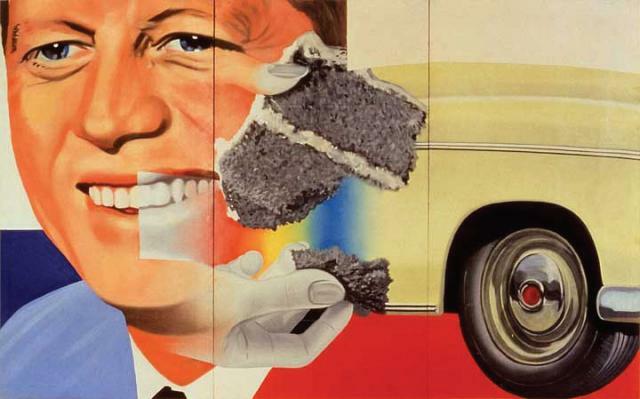 James Rosenquist: A Retrospective. The Solomon R. Guggenheim Museum, New York, 2003; essays by Walter Hopps, Julia Blaut, Ruth E. Fine, Sarah Bancroft, Chris Balsinger, Michelle Harewood, and Eugene E. Epstein. James Rosenquist. Haunch of Venison, London, 2006; essays by Carl Ratcliff, Scott Rothkopf, and Sarah Bancroft.